The origin of the elephant…a big middle finger to the Giants. When the A’s joined the American League in its first year of existence in 1901, team owner Benjamin Shibe wasted little time in offering exorbitant contracts to star National Leaguers, in effect raiding them of their talent. John McGraw, who had managed the Orioles in the AL but flipped over to the Giants of the National League, was disgusted by Shibe’s actions, but thought that spending so much money was going to tank the team. And so, while speaking to a reporter in 1902, McGraw stated that Shibe had a “big white elephant” on his hands. The term, popular back then, described something that looked nice but whose upkeep made it impossible to take care of. 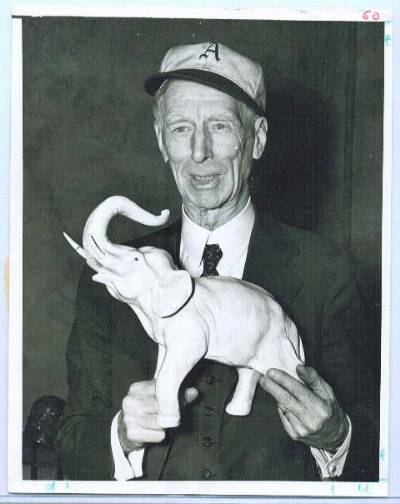 Connie Mack heard what McGraw had said and showing that he had an outstanding sense of humor, ordered all Athletic’s gear to carry a white elephant on it. When McGraw started that White Elephant “joke” way back in the war days he was paving a way for the Athletics to seize on a motto and trade-mark that is to-day recognized as one of the very best titles for a ball club to have. McGraw, however, never meant that expression to be taken as a joke. 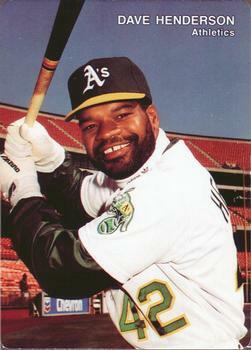 “Muggsy” was exceedingly bitter against the American League, Ban Johnson and other league officials those days and it was not said in any spirit of good feeling that the name of White Elephant was plastered on the Athletics. The elephant was replaced as the team mascot in 1963 by then-owner Charles O. Finley in favor of a Missouri mule (it was also rumored to have been done by Finley in order to attract fans from the then heavily Democratic constituents of Missouri by replacing the traditional Republican mascot to one associated with Democrats). In 1988, the elephant was restored as the symbol of the Athletics and currently adorns the left sleeve of home and road uniforms. The elephant mascot returned briefly in the mid-’80s, under the name Harry Elephante. In 1997, the elephant returned, taking its current form.